Born on the 25 February 1984, Mark showed great interest in music at the tender age of 5 years, when he started his first music lessons at the Malta School of Music. At the age of 8 he started having piano lessons under the tuition of Mr. Norbert Camilleri (L.(Mus.) L.C.M.) for 2 years and then continued his studies under the guidance of Ms. Vivienne Gambin (LTCL), who lead him to achieve his ALCM diploma in 2004 and LLCM diploma in 2007, both in Piano Performance. His passion for singing developed at the age of 11 when he got involved in the Savio College school choir, however at the age of 13 he moved from the choir to join the school orchestra. It was 10 years later, after being accepted to participate in VOICES ’08 that the love for singing started flourishing again. From there he never looked back. In the following year he formed part of ZHN Symphonik choir for a year and a half, in which he also sang as a soloist. In 2010 he again took part in VOICES ’10 and in the summer of that year he joined Malta’s renowned gospel choir, Animae. In November of this same year he took part for the first time in Strummin’ Home 9 (organized by ZHN) and in December he formed part of the choir for Concerto Di Natale, a yearly Christmas concert that was broadcast on RAI on Christmas eve. In October 2011 he participated in the 10th anniversary edition of Strummin’ Home, and in November he was part of the choir in MASQUERADE’s Simply Webber!. The year 2012 turned out to be quite a busy year, starting off with Animae Gospel Choir in Concert ’12, held in March at the MCC. Soon after, he started preparing for another edition of Strummin’ and VOICES, held in September and October respectively. In late summer, Mark joined the Goldberg Ensemble, a Baroque choir directed by the renowned Mro. Michael Laus. In October 2012 he started studying classical voice at the Malta School of Music under the tuition of Ms. Karmena Radovska, while in December of the same year he took part in A Holy Night with Animae. In mid-January 2013 he participated in the Valletta International Baroque Festival 2013, as part of the Goldberg Ensemble. In June 2013 Mark obtained a distinction in classical voice, after completing grade 3 vocal training at the Malta School of Music. He then joined Wayne Marshall’s choir in mid-September of the same year, with which he sang at the Midnight Mass. In February 2014 he was part of the chorus in the Fiddler On The Roof musical. Mark then completed grade 4 classical voice training with a distinction in June. He has then been part of the VOICES ’14 concerts. In March 2015 he formed part of the chorus in Donizetti’s opera L’Elisir D’Amore, directed by Denise Mulholland. Another year at the Malta School of Music came to an end in June, with a distinction in grade 5. In October Mark has been part of Strummin’ What a Feelin’ and Animae Gospel Choir in Concert ’15. In the same year, he joined the TMYO (Teatru Manoel Youth Opera). In March 2016 Mark has been part of the chorus in Gluck’s (1859 Berlioz revision) opera Orphée et Eurydice, also directed by Denise Mulholland. In June of last year he obtained a distinction in classical voice grade 6, and in the following October he has been part of the 25th anniversary VOICES ’16 concerts. The year 2017 started out with Mark being part of Mozart’s opera Le Nozze Di Figaro, directed by Jack Furness. In March he joined Coro Cathedralis, the ensemble of St. John’s Co-Cathedral, and in May he sang in Beethoven’s 9th Symphony with the MPO Chorus and the Malta Philharmonic Orchestra. Mark obtained a distinction in classical voice grade 7 in July, and in August he joined The Monteverdi Project. In September he played the role of Major Murgatroyd in Gilbert & Sullivan’s opera Patience, directed by Tama Matheson. In December Mark sang together with The Monteverdi Project vocal ensemble and VIBE (Valletta International Baroque Ensemble) in A Christmas Concert. In January of 2018 he sang in the REMA Early Music Award Ceremony and Monteverdi’s Vespers 1610, both with VIBE, with the latter being also with The Monteverdi Project vocal ensemble. In the same month, Mark continued furthering his studies in classical voice at the Malta School of Music under the tuition of Ms. Graziella Debattista. In February he sang in Rockquiem with the MPO Chorus and the Malta Philharmonic Orchestra, while in March he was part of the chorus in Mozart’s Don Giovanni, directed by Jack Furness, as well as part of the A Cappella Choir in La Divina Commedia. In April Mark was one of the pit-singers in Mamma Mia! musical, and in May he sang in a Monteverdi Project concert, Musical Adventures in Seconda Prattica. In July Mark obtained a merit in classical voice Grade 8. 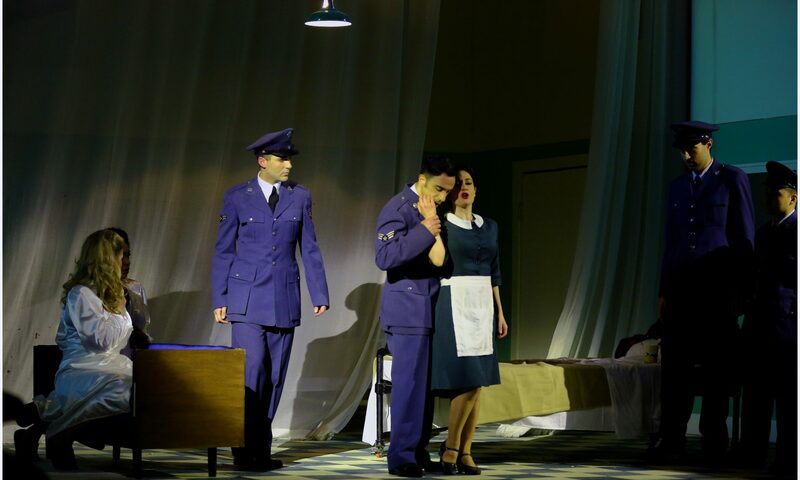 At the end of August he took part in the Maltese opera Aħna Refuġjati, directed by Mario Philip Azzopardi. In November Mark was part of another Maltese opera; Belt il-Bniedem: Is-Swar, directed by Michael Moxham. In December he sang in another Monteverdi Project concert titled A Monteverdi Christmas Concert. The year 2019 started with Missa In Illo Tempore, a performance in which Mark sang together with the Monteverdi Project vocal ensemble and Cantar Lontano as part of the Valletta International Baroque Festival 2019. In March he was part of the chorus in Mozart’s Così Fan Tutte, directed by Jack Furness, completing the trilogy at the prestigious Manoel Theatre. In the same month Mark sang in a European Day of Early Music Concert with The Monteverdi Project. In April he sang with KorMalta the opening number in the Malta Arts Awards 2019. At the moment Mark is furthering his studies in classical voice at the Malta School of Music.